What to Do First: Market or Hire? Written by Colleen Sedgwick on May 11, 2015 . Posted in Multiply. Are you confused about which step you should take next in your business? Should you market or hire? 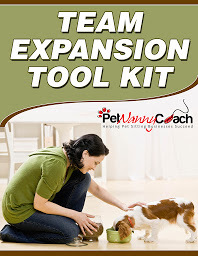 First, you need to identify what stage you are in with your pet sitting business and then you’ll know which course action you should take to move to the next level of success. Are you a “Build-Up Betty” or a “Build-Up Bill”? If you are in the building stage of your business, you are most likely in the first few years of your business. You may be pet sitting part-time and want to transition it into a full-time career, or you may be doing it full-time, but need to increase your consistent revenue. Your biggest need right now is getting clients and bringing them in consistently. If you are a Build-Up Betty or Build-Up Bill, you need to market your business first! Are you a “Multiply Mary” or “Multiply Mike”? If you are in the multiply stage of your business, you have an established business. You have clients, you’re making money, but you do everything yourself and have no time to grow your business substantially, not to mention having any time for yourself. Your biggest need right now is leverage. You need to start building a team and create systems and practices to multiply your income and work less. If you are a Multiply Mary or Multiply Mike, you need to hire first! Watch this video blog on When To Hire Your First Pet Sitter. Write a job ad to attract your ideal pet sitter. Post your ad on job boards and websites. Send your ideal prospects a detailed job description. Interview the candidates that are still interested in the position. Send an offer email to the qualified candidates.